Most people know that Nashville, Tennessee is the Country Music capital of the world. Some of the biggest names in country music have come from this influential city. But, in the midst of the bustling music city, there’s a full-size replica of The Parthenon. 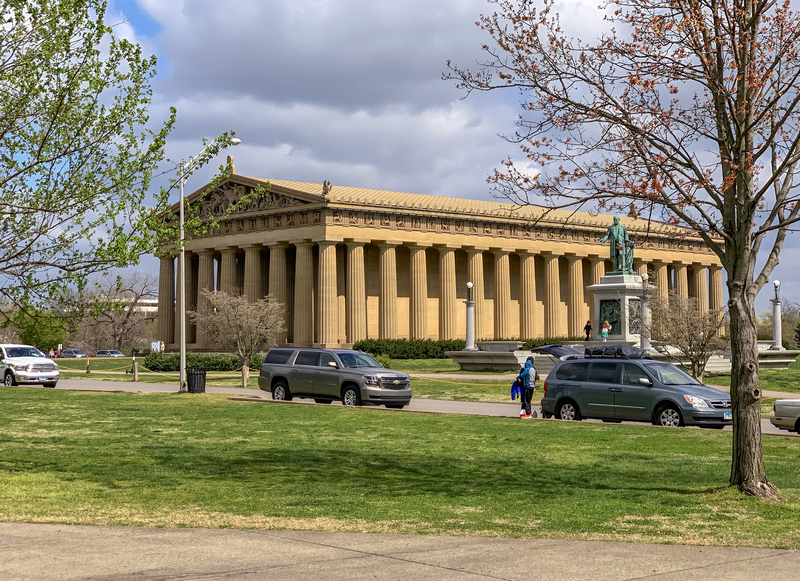 The Parthenon is the centerpiece of Centennial Park–Nashville’s premier urban park. It was built in 1897 to commemorate the 100th anniversary of Tennessee’s admission to the United States. Why did they build a replica of The Parthenon of all things? Incidentally, before country music took the Tennessee capital by storm, it was known as the Athens of the South. Nashville is home to a number of colleges and universities and is regarded for its public school system and commitment to education. The building was never intended to remain a permanent structure after the exposition. 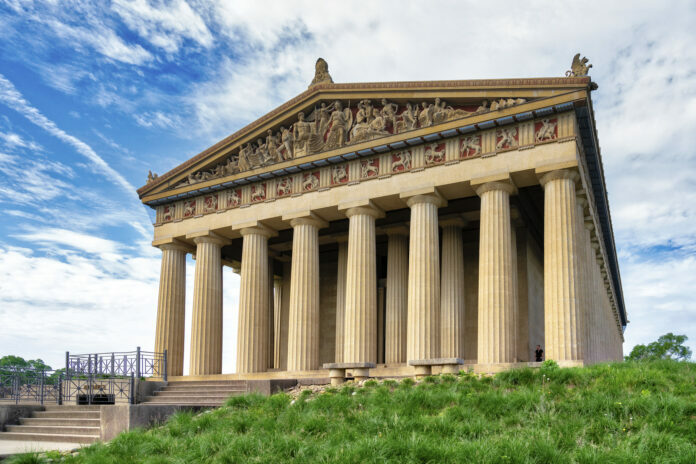 However, due to the expense of demolition and its popularity, The Nashville Parthenon was saved. My first impression of The Parthenon was its size. I knew it was a full-sized replica of the real thing in Greece, but since I haven’t seen the original, I had no comparison. It’s huge! The Nashville version also features plaster replicas that are direct copies of the Parthenon Marbles. The building also features seven-ton bronze entrance doors on the east and west ends. These doors are the largest of their kind in the world! The building itself is impressive, but wait until you step inside. The Parthenon is also an art gallery. It’s home to a collection of sixty-three paintings known as the Cowan Collection. James Montgomery Cowan, a Scotch-Irish American philanthropist, donated the collection in 1927. It features paintings mostly of landscapes and seascapes by American artists. Although the Cowen Collection is beautiful, it pales in comparison to the statue of Athena. 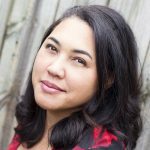 When I entered the second floor of the Parthenon, a collective gasp erupted as I and my fellow tourist laid eyes on the goddess of wisdom. 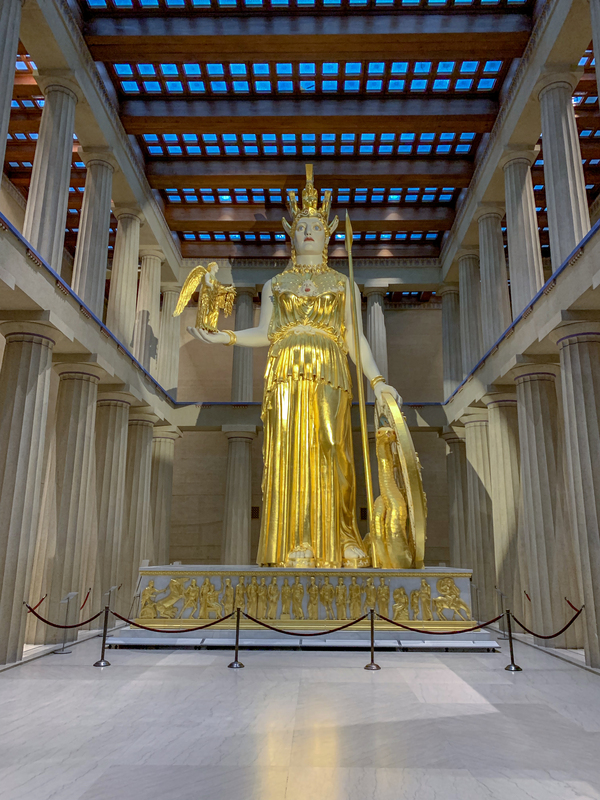 Athena is the tallest indoor statue in the United States. The designers re-creation is based on the original statue by the ancient Greek sculptor, painter and architect, Phidias. The statue of Athena weighs in at 12 tons. Athena carries a shield in her left hand and a life-sized statue of Nike in her right palm. By her shield sits a 20-foot-tall serpent. Athena’s dress is gilded in gold-leaf. I wouldn’t expect any less for the daughter of Zeus. The Nashville Parthenon is a definite must-see attraction when visiting Nashville. It’s located near downtown Nashville in Centennial Park. Parking is free and that park features plenty of green space, walking trails, and is in close proximity to Vanderbilt University and other downtown Nashville restaurants and shopping. The operating hours are Tuesday through Saturday from 9 a.m. until 4:30 p.m., and Sunday from 12:30 p.m. until 4:30 p.m. There is an admission fee to enter The Parthenon (so you can see the art gallery and the stature of Athena,) but the rest of the park is free.